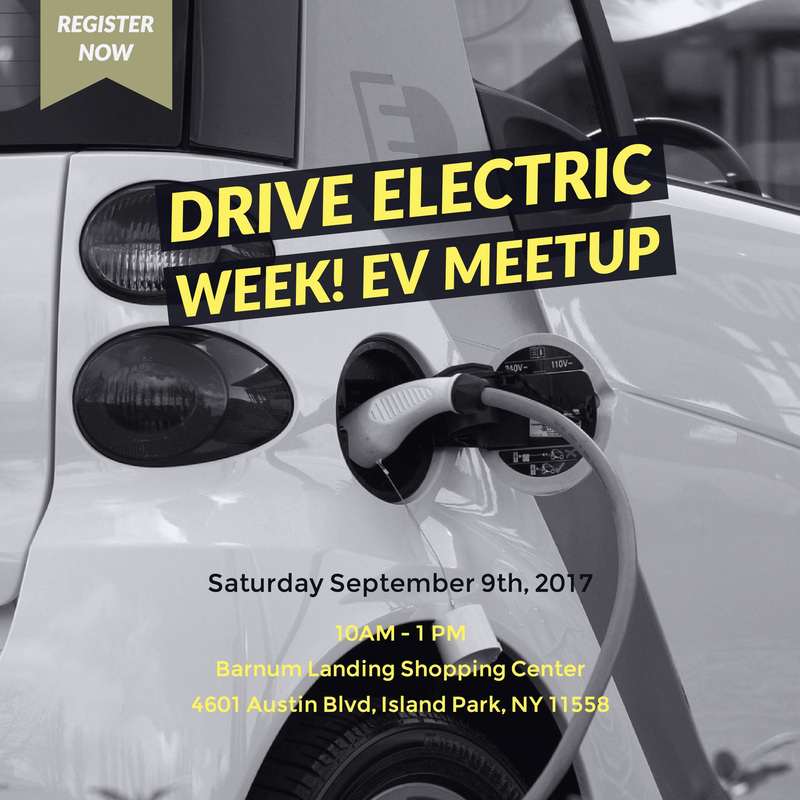 We had a great time at the Drive Electric Week event this weekend with Sunpower by Empower Solar, checking out some electric vehicles. Good to meet some interesting new people who’ve made the change to a fossil fuel-free car and who shared their stories and passion for their EV’s! Last year, Team STATE, winners of the 2013 EmPower Solar Student Competition, went to the U.S. Solar Decathlon in California. This year, EmPower solar are raising the stakes and will send the 2014 winners to the Solar Competition in Versailles, France. Do you know a high school student on Long Island or in NYC? Encourage them to enter! Pick some teammates. We’re looking for teams of 2-4. Pick a building in your community that could benefit from going solar. Use the provided worksheet to take a closer look at its solar potential. Produce a creative and fun YouTube video to tell our guest judges why YOU deserve to win. This Year’s awards night will be in May at the Town of Hempstead Energy Park. You can find the 2014 competition instructions and registration form here. Get your passports ready! We wish everyone the best of luck! EmPower Solar of Island Park is going all out to help residents of Lido Beach grab the solar dream. They recently announced their Lido Beach Community Solar Pricing Program. Born of meetings with local residents and civic groups, the idea has come to fruition and EmPower is offering a $750 discount plus an additional sliding scale of incentives for residents in the town of Lido Beach to go solar. The more residents that go solar through the program, the bigger the discount they all get. Their goal: 400 kW of solar by the summer. To help you get there, EmPower Solar is offering Lido Beach homeowners an upfront discount on the price of your system. With an extra tiered community pricing system, the more homeowners who go solar, the more everyone saves. 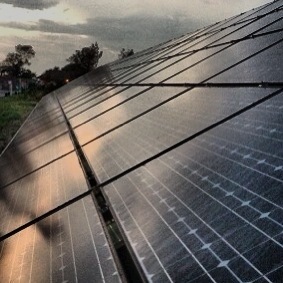 As part of the program, they will be hosting a solar tour day and event on April 20, 2013. Residents can see solar power systems right in their own neighborhood, see how they work, and talk directly with what EmPower refers to as their ambassadors [Em-bassadors? ; )]. To qualify for the Community discount, Lido Beach residents must sign their contract with EmPower Solar by the program deadline of May 31, 2013 and participate in at least one ambassador activity. So Lido Beach residents, if you’ve ever been thinking about going solar, now is the time. Might I also mention that while solar prices have been going down, so have the incentives available, and it is unlikely they’ll continue to be this good. what’s the payback period on that? What’s the payback on a solar power system? 5 1/2 to 7 1/2 years is usually about average. What are you doing about your share of pollution created for the electricity you use, in addition to your “carbon footprint”. Find out by clicking here from the Nature Conservancy’s carbon footprint calculator. I personally like to think of it this way- are you planning to retire soon? Wouldn’t it be nice to know that you were not going to have an electric bill for the remainder of your retirement? You know that electric bill isnt going to do anything but go up between now and then! Too young to retire? Well may I suggest just retiring from paying an electric bill 5 to 7 years from now? **for the record, All Our Energy is not affiliated with EmPower solar, we are just getting word out about a program available to residents. Please contact them for all related information. Is Solar Right For You, Lido Beach? Find out this Wednesday, February 13, 2013 at Lido Firehouse. You’re Invited! Join the LHCA in learning about the economic and environmental benefits of going solar. What: EmPower Solar will present to homeowners and business owners about the processes, multiple benefits, financing options for going solar. Who: EmPower Solar is an Island Park based solar energy company that was founded in 2003 . EmPower has successfully installed over 500 systems for homeowners and businesses across the region, saving our customers money by eliminating electric bills. Note: for emergency reasons, please do not use the parking lot at the Firehouse. Please park on the side streets or at the Middle School. want to learn more about going solar? and their out-front-and-center, attention-grabbing display of the much talked about Honeywell Windtronics WT6500 wind turbine. Groundbreaking and Controversial for the very same reason… It attempts to bring affordable wind power generation in an easier to install unit that achieves the enviable (or questionable) task of rooftop wind(do your own research on that!). Also interesting is the electricity is generated in the outside at the blade tips, as they go around the outer edge instead of at the hub. For the moment, we’re going to defer on wether we like it or not, until we see it in action. Thankfully, Solar Windependence have a number of installations lined up that we can (hopefully) track output and usability issues that have made this unit such a hot topic. We will be checking up on that progress at a later date. We met the guys from new Long Beach business concept Deco Bike. Another controversial (see Sea By The City) new business with a modern and green concept: they’ll be setting up 13 kiosks in town. You may rent a bike at any of those kiosks and return it at any other, saving gas, taxi trips, traffic congestion and the worry of locking up a bike while you visit the beach, shop, get your car fixed(ha), eat a great meal at one of the local restaurants or whatever. learning about their free home energy audit, which will yield you a list of solutions from weatherproofing to solar panels to change the way you use energy… In many instances at no cost to you after rebates and energy savings. We couldn’t help but admire the cool bikes Max from Local Cycles (516.390.7085) had with him. He offered a test drive, but I declined. I said something about wanting to stay on task..maybe next time, but that sure would’ve been a great distraction! Finally we caught up with EmPower Solar who we’ve met before. We spoke to David Schieren about a host of issues including the recent decision to add 33% tariffs to Chinese manufactured solar panels. He said it is basically bad for the whole industry, but at the same time, the slack on the lower prices will be made up by Malaysian, Indian and other manufacturers. When told we’re one of EmPower’s tweeps, he said we’re the first he’s met in person! We spoke briefly about their involvement with installing the 100kw turbine, solar panels and e/v charging stations for the Town of Hempstead at the town’s Clean Energy Project at Point Lookout. And Long Beach Kayaks, amongst others there for the day. All in all a great day talking with some very interesting people. Too bad, one of the people we were hoping to meet, Joe Sinonna, Long Beach real estate entrepreneur, green advocate and organizer of Greenfest didn’t cross our path. Hope to meet him another time.